The precision engineered timber door - a true innovation for your home. The Masterdor Craftsman is a door that speaks of precision engineering, quality construction and stunning good looks. With 27 door styles to choose from and with 21 beautiful lifestyle colours available, Masterdor Craftsman is a truly outstanding door. Your home deserves the very best and Masterdor can provide that very thing. From our state-of-the-art premises in Nether Heage, Derbyshire, Masterdor have been building beautiful doorsets since the 1990's. Named after the beautiful woodlands of Britain, the Craftsman is our premium timber door and is exceptional in every way. Simply a better class of door. A class leader in strength, security and authentic craftsmanship. 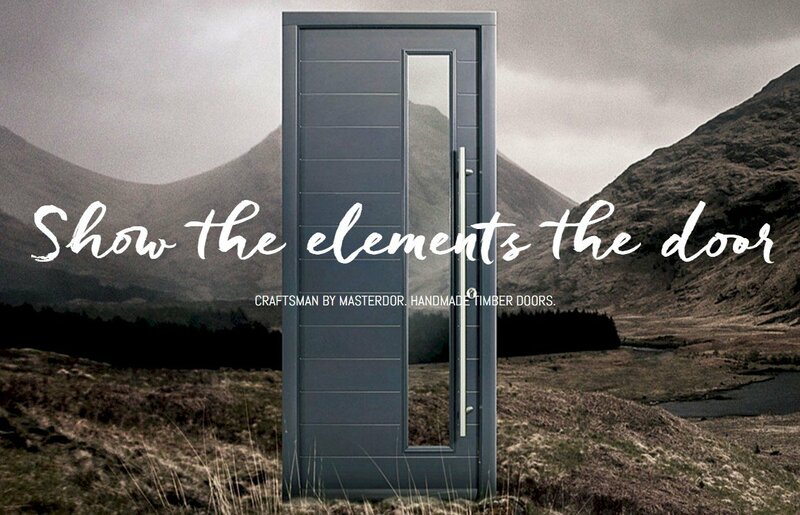 We are proud to state that the Masterdor Craftsman door is second to none and the care and skill put into our doors shines through whilst the innovation and engineering will bear out over its lifetime. 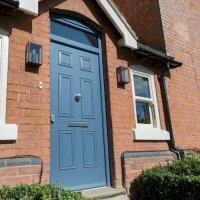 Named after the beautiful woodlands of Britain, the Craftsman door is a tangible investment in your home. Dressed to impress... The perfect door furniture to dress your Masterdor Craftsman door. We've selected beautiful door hardware that complements the Craftsman door range perfectly. Whether your chosen style is a classic panelled door or a more contemporary door with a grooved design, we have the ideal hardware in range. All Masterdor Craftsman doors come with a standard handle, letterbox and knocker in a choice of four colours, four sturdy stainless steel or brass hinges and a secure multi-point lock as standard. the beautiful woodlands of Britain, the Craftsman door is a tangible investment in your home. Precision engineered to last. A combination of a Kerto Q core, Sapele mahogany lipping and Tricoya facings provide a stable, hard-wearing, water resistant door. Two door slab choices - 44mm and 54mm. 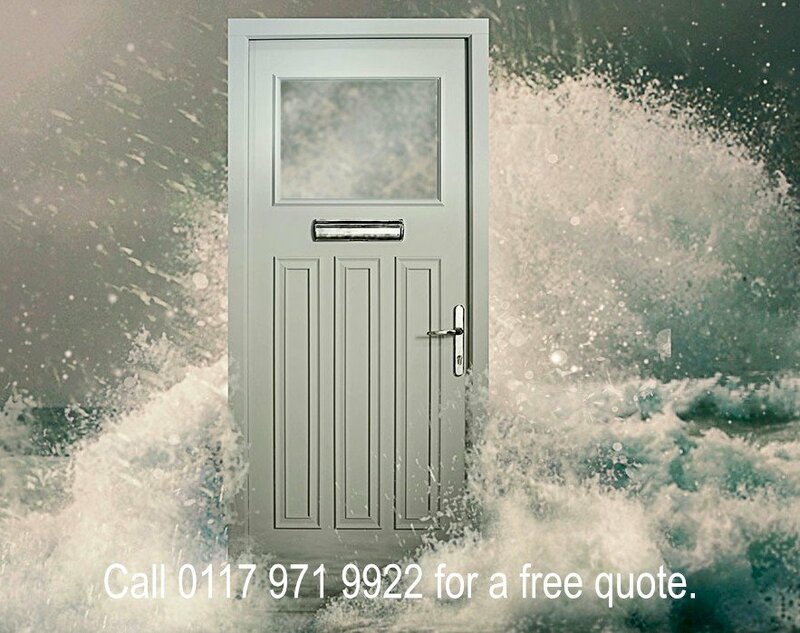 Whatever your requirement or application, we offer both 44mm and 54mm door thicknesses with double and triple rebates. Thermal core option. For the best in energy efficiency opt for a thermal door with a Polyurethane insulating foam core. A complete hardware choice Four individual ranges to choose from that include: handles, knockers, letterboxes and centre door pulls. Beautiful glazing options. Over 30 elegant glazing styles are available for many of the Craftsman door styles Double and French Doors. Masterdor Craftsman doors are available as stunning double doors or glazed French doors - call us for a bespoke quotation. • Safe and secure. The unique construction of a Craftsman door provides an incredibly strong defence for your home. • 21 stunning colours From fiery reds to cool blues and all the shades in between, our colour range is first class. • Frame, sill and threshold options A wide range of options to complete your door specification including Part M low threshold. • Document L Compliance Meets UK Building Regulations for replacement door applications. 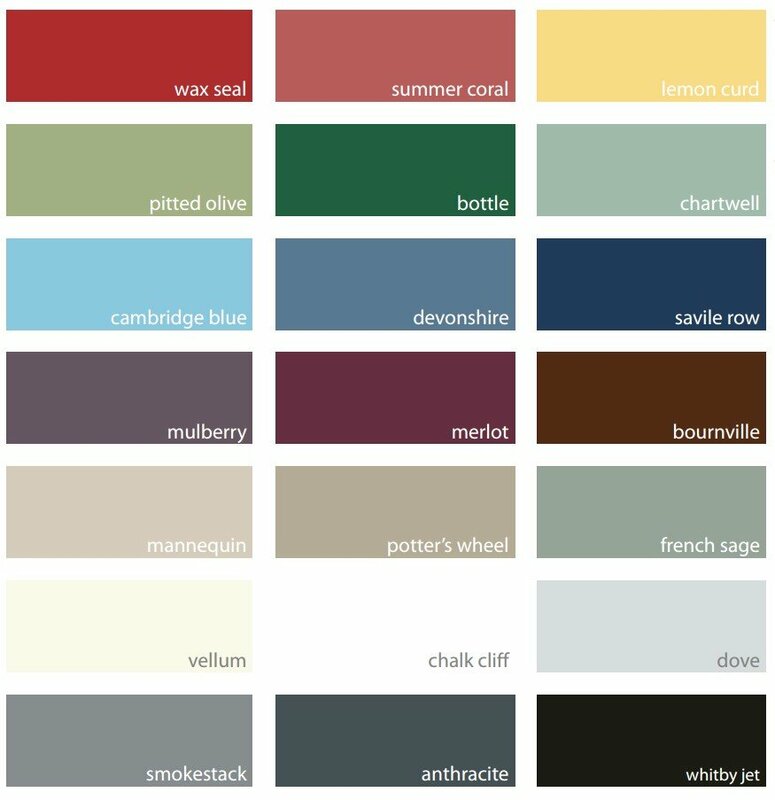 From soft natural hues to stronger traditional colours, our colour palette offers 21 shades to give your door a unique look. 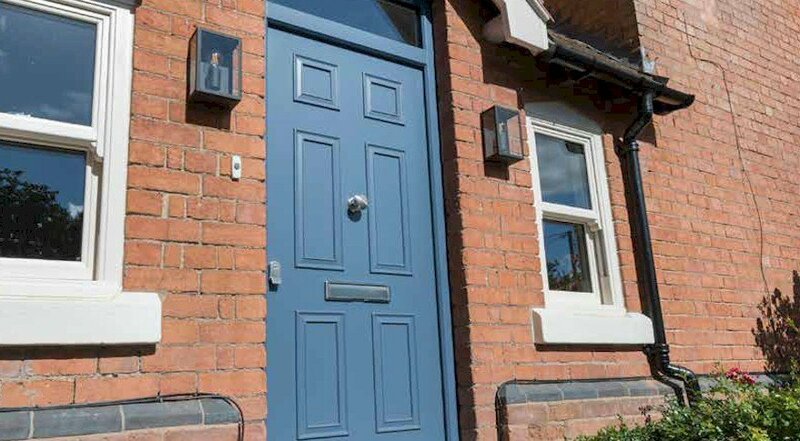 To guarantee your Craftsman door is protected, every door leaves us with two water based layers of colour, two of undercoat and a primer - the equivalent of 10 coats of paint. The Masterdor Craftsman is an outstandingly durable door. It combines precision engineering, authentic joinery, handcrafted attention to deal and innovative technology to produce the ultimate stylish, bespoke timber door. Classic or contemporary, Craftsman doors enable you to sell at the premium end of the marketplace. Its unique features and superior quality and performance offer the potential for much healthier margins.